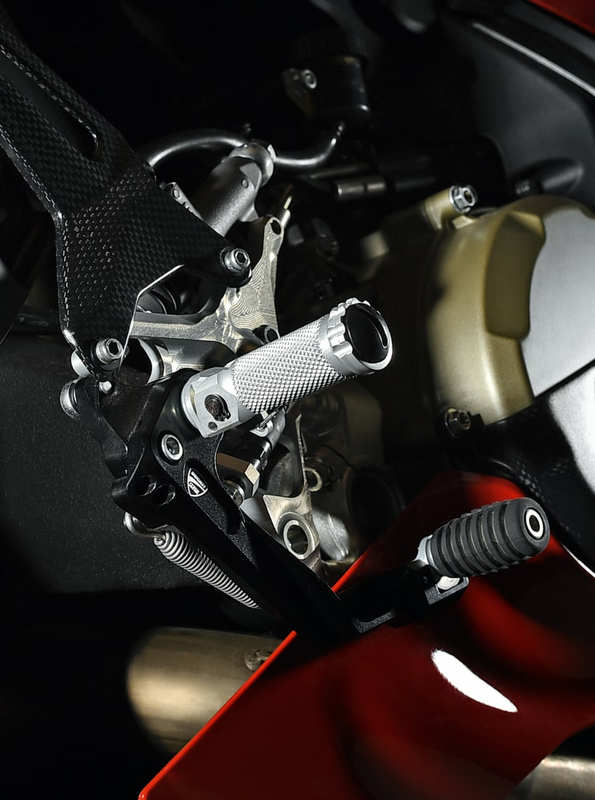 Adjustable rider footpegs in aluminium. 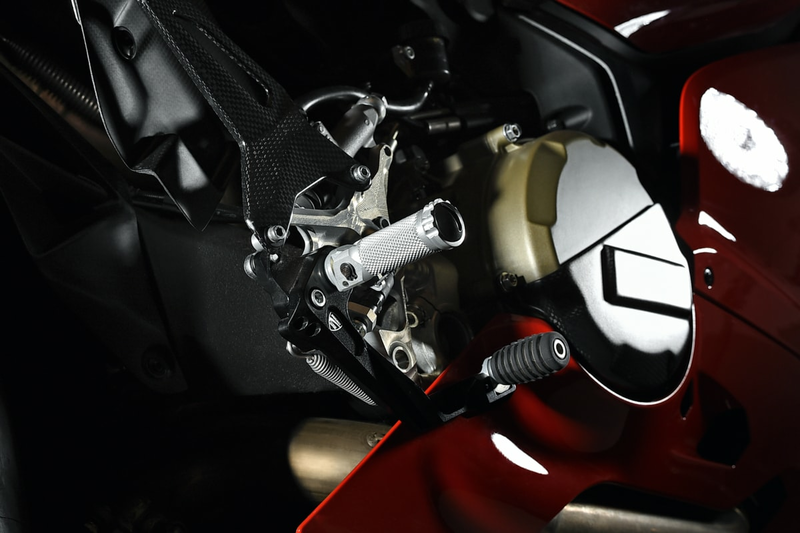 Developed by Ducati Corse for the Superstock world championship and made of the highest quality aluminium alloy. They can be adjusted to two different positions. 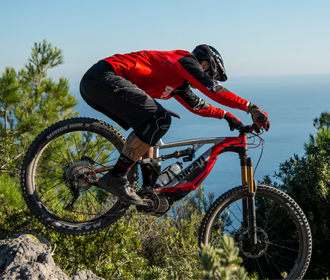 They are equipped with fold-away brake and gearchange pedals to minimise the risk of breakage in case of a slide. The footpegs are precisely finished and provide improved grip. 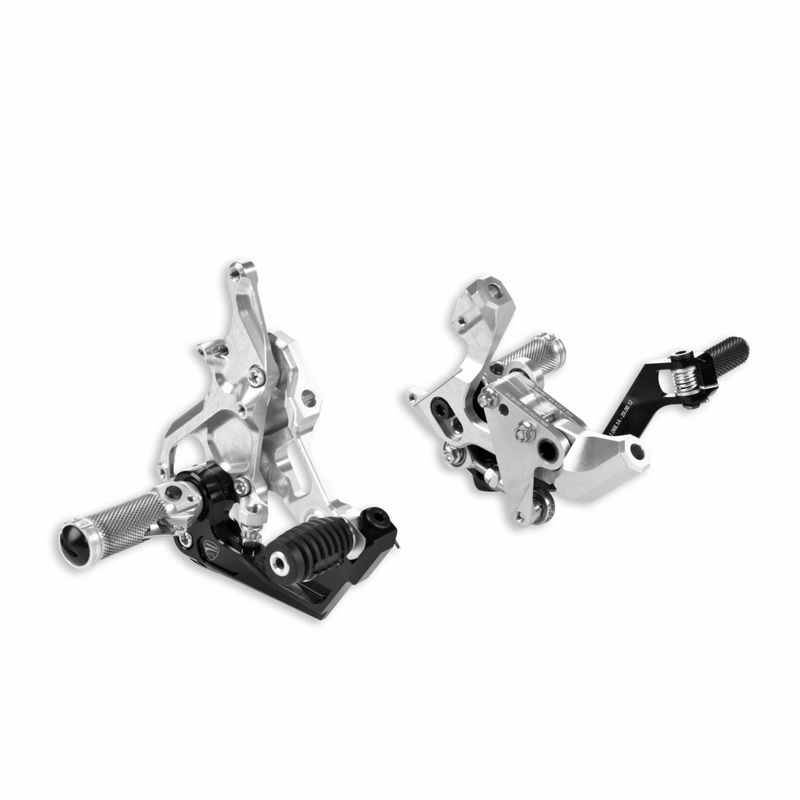 These footpegs use the standard DQS since it can be configured either as a straight shift or as a reversed shift. So there is no need to purchase a reverse shift.